Hostel work: the good, the bad and the ugly. What is it like to work in one of New Zealand’s most popular backpacker jobs? 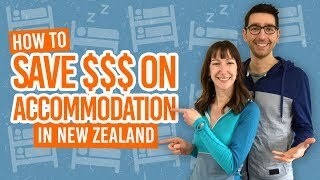 Some backpackers stay months, even years, working in hostels for its great balance of socialising and saving money while earning money. The most effective way of doing the latter is working in a hostel. Working in a hostel has its own rules and lessons to learn, which you can figure out for yourself or get a sneak preview by reading the list below. Once you have learned the lessons, you’ll find that working in a hostel is a rewarding part of your New Zealand gap year experience. 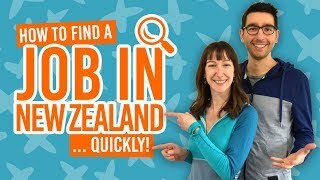 Have a look at our job listings to find your very own backpacker hostel job in New Zealand. Every backpacker checking into your hostel has done quite the journey to get here and has no doubt learned some money-saving tricks along the way. It could be a great WWOOFing host, an awesome hike, or a discount. On top of that, many backpackers who are coming to the end of their trip will be looking to get rid of excess luggage, from camping gear to phone credit to bus tickets. Be social, rather than just going through the motions of checking someone in. Hostel crowds are unlike any other. Never have we witnessed so many walks of life in a one place. (Seriously, look at 19 Backpackers You Will Meet in Every Hostel). Each traveller brings their own culture and habits. Being accepting of others is a must when working in a hostel. Everybody is different and you are different too. Hostel managers have seen it all, seriously. Some of the stories they have to tell are actually quite incredible. As a result, they usual forge strong characters and what they say goes. If you are the type to have new ideas and want to improve your workplace, you will have to put in place a constructive and calm approach. Backpackers are unpredictable. Chances are that this one-night-stand will change his/her plan and stay around for another 2 weeks to explore the area. You are in for 14 days of awkward moments around the property. Get to know them a bit better and see if this will be a good idea. Long-termers pretty much run the place in most hostels. They have their habits, their “spots” and their games. Being friends with them means that your stay as staff will go much smoother and you’ll get the respect that you deserve. Plus they probably work around in a store or a cafe nearby. There’s potential for free mochas on your day off! The #1 tip to save money on the road is to cook for yourself. 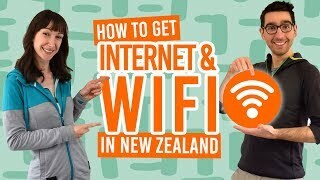 Every hostel has a fully working kitchen and this will save you tens of dollars each week against buying food in restaurants or a fast food joint. Here’s just some super cheap and easy meals to cook in a hostel. Speaking of food, watch the free food shelf in your hostel. You can score some pretty neat ingredients for dinner. The best time to spy on it would be around 11am when most people have just finished checking out. If this becomes a habit though, offer to cook for a few other long-termers from time to time. Sharing a meal is a great social catalyser. Plus, no one wants to look like a hoarder. “Dear liver, I am sorry for what I have put you through when working in a hostel…” Kidding! But this is true: every evening in a hostel, there is a good reason to have a drink, whether its to celebrate an arrival or a departure, to celebrate a new job, the purchase of a car, or because it is Wednesday, Thursday, Friday or Saturday… Ok, pretty much any reason goes. As much as working in an hostel is about being part of the lives of so many amazing people, it also means that you’ll be saying goodbye to people you got to know and love quite regularly. When feeling the blues, just look forward to hitting the road again. You will probably catch up with friends some time soon. New Zealand is not that big.